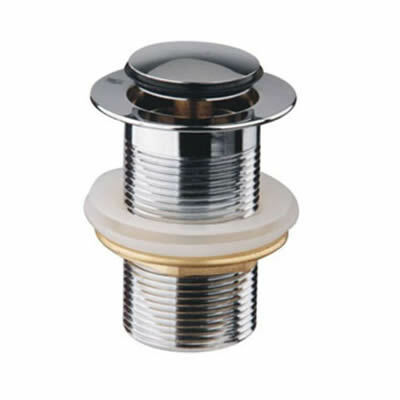 Improve the performance of any old basin by replacing the waste with our 40mm Pop-Up Waste plug. This pop-up waste is a well-designed product that boasts superior quality. The waste is 40mm in dimension and is suitable for use in standard Australian basins, without an overflow. It is equipped with an integrated pop-up plug and is extremely easy to use thanks to the use of a simple push button mechanism. This also makes cleaning your basin very easy. Simply push it down for a seamless surface to wipe clean. 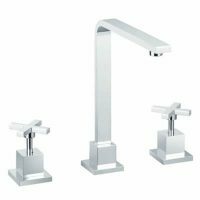 It is manufactured using high quality brass internals that will easily stand many years of rigorous bathroom or kitchen usage. 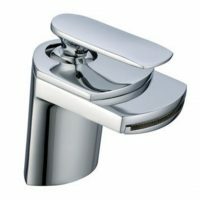 This is aided by the durable chrome finish, which won’t lose its shine even with rough usage. The 40mm Pop-Up Waste is designed and manufactured by a reputable Australian manufacturer and meets all Australian specifications and standards of quality. Superior workmanship, heavy-duty durability and excellent reliability – that’s what this pop-up waste is all about. So, go ahead and enhance your old bathroom or kitchen basin at an affordable price with our 40mm Pop-Up Waste. Grab hold of yours today from Ross’s Discount Home Centre and avail of our 14-day money back guarantee!